Making your own PIT Count social media posts? Add the CoC Member badge to the lower right corner of your post to show your membership! Need to provide your followers with a little information about what the PIT Count and CoC are? Use the below graphics on Facebook, Instagram, Twitter and on your website. 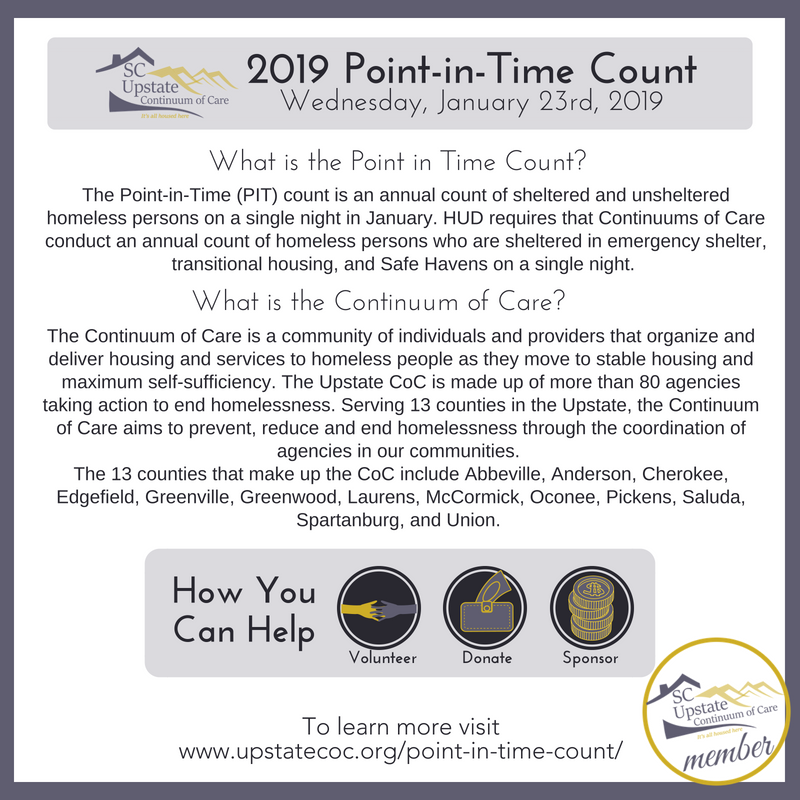 Interested in collecting donations for the Point-in-Time count? Use this graphic to collect items that will be included in the bags given out during the PIT. 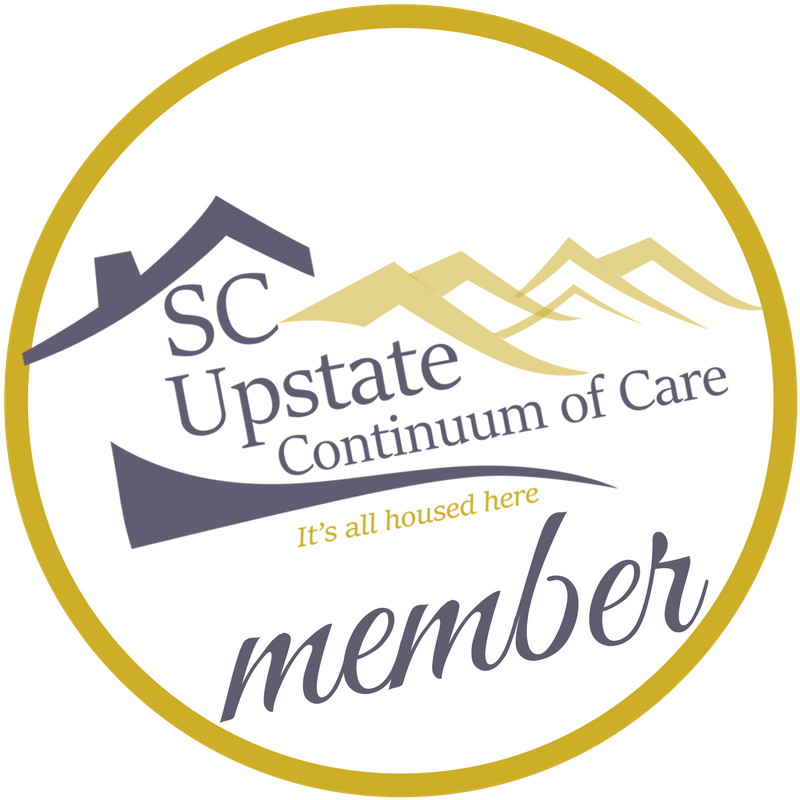 All donations can be dropped off at United Housing Connections at 135 Edinburgh Ct, Greenville, SC 29607. 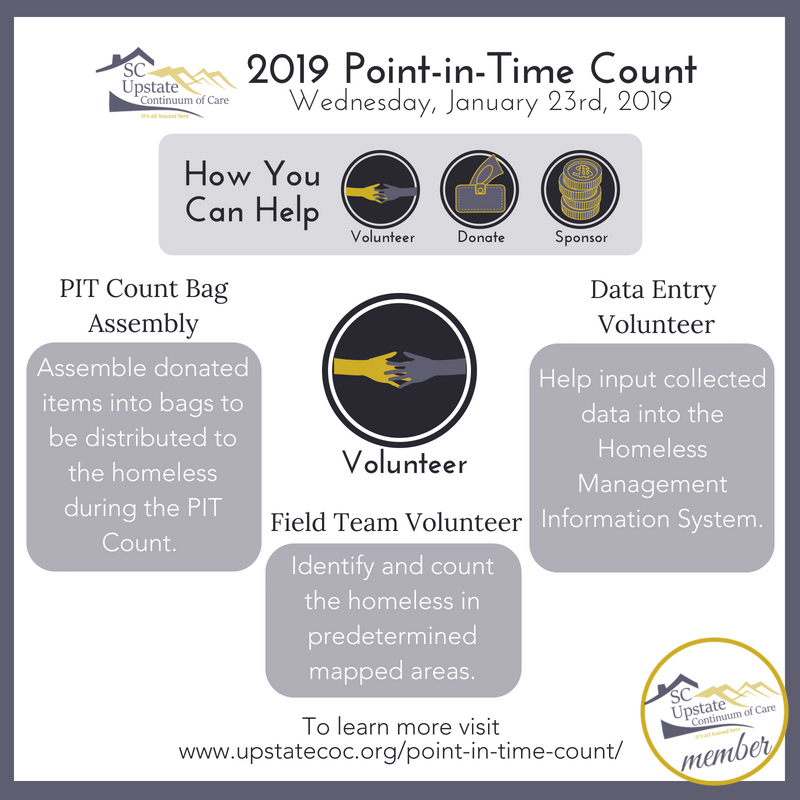 Are your followers interested in volunteering for the Point-in-Time count? Use this graphic to encourage your followers to volunteer during the PIT. Also be sure to include the link to our volunteer sign up found here!